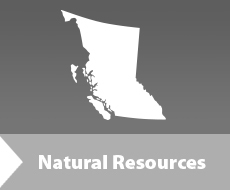 Comments were accepted until Feb. 28, 2017, on proposed amendments to the 2006 Land Use Objectives Order in the Kiteen (26,000 hectares) and Skeena Islands (4,500 hectares) portions of the Kalum Sustainable Resource Management Plan (SRMP) area in northwestern B.C. Feedback on the issues and comments related to the discussion papers were accepted until Feb. 28, 2017 by mail, fax and email. Public feedback on the proposed amendments will be considered prior to implementation. Once amended, the land use objectives in the order must be adhered to by all major forest licence holders operating in the area. Visit this page to learn more about the Kalum Land Use Order.